“It’s almost unfathomable to figure out how to regulate search. We’re not prescriptive. We allow the marketplace to allow people to self-regulate and we police their self-regulation," one veteran antitrust lawyer says. President Donald Trump likes to trash his opponents on Twitter, speaking to tens of millions of followers in short bursts. 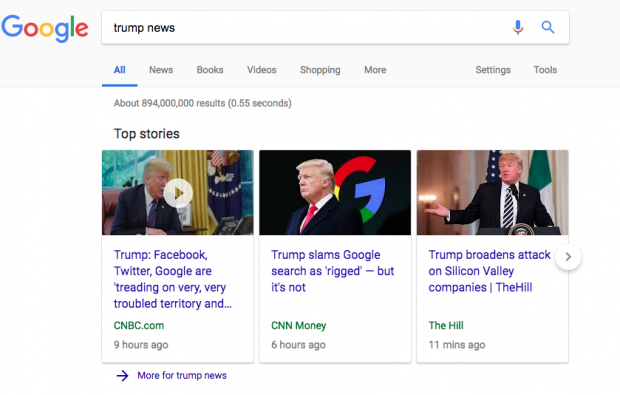 On Tuesday, he went after Google search results—for ”Trump news”—that showed mainstream news sites and their critical stories. He accused the company of “suppressing” conservative outlets.